Reductionism is the idea that the world can be understood as the sum of its parts. Objectivity is the idea that there is an external reality independent of our biases and measurements. Together, these ideas are implicit in much or all of science. How could these go wrong? Maybe there is some supernatural phenomenon that is not amenable to scientific study. There could be emergent features that do not reduce. There could be objects that behave differently every time you look at them, without any pattern. Maybe you can reduce a system to particles, but find that those particles seem to still have some complexity, but cannot be reduced any further. Quantum mechanics is a theory that seems to run up against the limits of reductionism and objectivity. 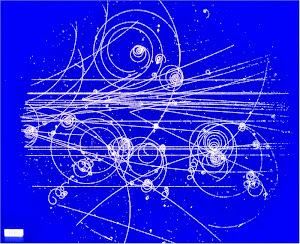 Naive reductionism would lead you to reduce an electron to its charge, mass, spin, position, and momentum, but the uncertainty principle prevents it. Attempts at further reduction and realism have nearly always led to some hidden variable theory. However these theories have all failed. We may never reduce electrons to mathematics. The subject of reductionism and determinism really creeps people out when applied to genomic influence on behavior and IQ. There is overwhelming evidence that many traits are heritable, but we lack a genetic theory to explain it. To believe in counterfactuals, you have to believe that all possible events can be divided into the real and the fictitious. And that you can analyze them as if they had an objective existence. I have this belief because it seems essential to scientific thinking. We should not accept a concept 100% just because it is convenient for science. Reductionism is convenient for science, but there may be limits to it. Maybe some counterfactuals do not make any sense. So there may be limits to counterfactual reasoning, but it is hard to imagine science without it. The particular buzzword "Quantum Bayesianism" (or "Qbism") is meant to describe this 2001 preprint (and 2002 PRA paper) by Carlton M. Caves, Christopher A. Fuchs, Ruediger Schack. It describes probabilities in quantum mechanics in the way they are. Your humble correspondent would probably agree with all papers in literature presenting Qbism. I just have a trouble with the "credits", with the claim that "Quantum Bayesianism" is some really new 21st contribution to physics (and also with the prominent role that is given to Thomas Bayes). It is really just a new brand that describes the very same thing that the Copenhagen school understood well. They just didn't expect that the meaning of probabilities in quantum mechanics – which is really simple and obvious for anyone who is not prejudiced – would remain a source of controversy among professional physicists for at least 90 years so they didn't write long essays and they weren't inventing new words to describe the same thing. He also mocks Mermin's discussion of the problem of Now, just as I also did. So I actually agree with him about something. As it turns out, in the 1960s, a physicist visiting Stanford named John S. Bell wrote a paper reviving Einstein's critique of quantum mechanics, arguing that if the late scientist were right, the quantum formalism would be describing a reality greatly at odds with our everyday experience of familiar objects. "By the 1980s it was possible to do an actual experiment to test this," Ryckman said, "and in fact it was shown that the world of quantum particles is indeed 'entangled.'" In other words, those experiments showed that the 1930 understanding of quantum mechanics was correct, and that Einstein and Bell were barking up the wrong tree. 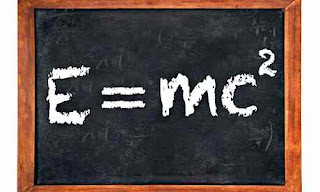 Ryckman attempts to restore the great physicist's reputation in his new book, Einstein, co-written with Arthur Fine, professor emeritus of philosophy at the University of Washington. The book is slated to be published by the Routledge Philosophers series in 2015, the centennial of the theory of relativity. Ryckman is yet another crackpot idolizing Einstein. "There is little mainstream research in the foundations of quantum mechanics," Ryckman said. "The reason is that most physicists consider it unproductive and not likely to be successful. This is the attitude that is taught to students." There is too much research that is nothing more than rehashed disproved ideas. Once you agree that the past is definite and the future is uncertain, then probability theory is the natural way to discuss the likelihood of alternatives. That is, if you believe in counterfactuals, then different things could happen, and quantifying those leads to probability. Probability might seem like a simple concept, there there are different probability interpretations. The frequentist school believes that chance is objective, and the Bayesians say that probability is just a measure of someone's subjective belief. The frequentists say that they are more scientific because they are more objective. The Bayesians say that they are more scientific because they more fully use the available info. Mathematically, the whole idea of chance is a useful fiction. It is just a way of using formulas for thinking about uncertainty. There is no genuine uncertainty in math. A random variable is just a function on some sample space, and the formulas are equally valid for any interpretation. Coin tosses are considered random for the purpose of doing controlled experiments. It does not matter to the experiment if some theoretical analysis of Newtonian forces on the coin is able to predict the coin being heads or tails. The causal factors on the coin will be statistically independent of whatever is being done in the experiment. There is no practical difference between the coin being random and being statistically independent from whatever else is being measured. It is sometimes argued that radioactive decay is truly random, but there is really no physical evidence that it is any more random than coin tosses. We can measure the half-life of potassium, but not predict individual decays. According to our best theories, a potassium-40 nucleus consists of 120 quarks bouncing around a confined region. Maybe if we understood the strong interaction better and had precise data for the wave function, we could predict the decay. The half-life of potassium-40 is about a billion years, so any precise prediction seems extremely unlikely. But we do not know that it is any different from putting dice in a box and shaking it for a billion years. All fields of science seek to quantify counterfactuals, and so they use probabilities. They may use frequentist or Bayesian statistics, and may debate which is the better methodology. Only quantum physicists try to raise the issue to one of fundamental reality, and argue whether the probability is psi-ontic or psi-epistemic. The terms come from philosophy, where ontology is about what is real, and epistemology is about knowledge. So the issue is whether the wave function psi is used to calculate probabilities that are real, or that are about our knowledge of the system. It seems like a stupid philosophical point, but the issue causes endless confusion about Schroedinger's cat and other paradoxes. Physicist N. David Mermin argues that these paradoxes disappear if you take a Bayesian/psi-epistemic view, as was common among the founders of quantum mechanics 80 years ago. He previously argued that quantum probability was objective, like what Karl Popper called "propensity". That is the idea that probability is something physical, but nobody has been able to demonstrate that there is any such thing. Luck and randomness aren't real. Some things feel random, but that's just how it subjectively feels whenever you get cloned. And you get cloned all the time. ... There is no luck, just cloning. There are more and more physicists who say this nonsense, but there is not a shred of evidence that anyone ever gets cloned. There is just a silly metaphysical argument that probabilities do not exist because all possible counterfactuals are real in some other universe. These universes do not interact with each other, so there can be no way to confirm it. Scott Aaronson argues that the essence of quantum mechanics is that probabilities can be negative. But the probabilities are not really negative. 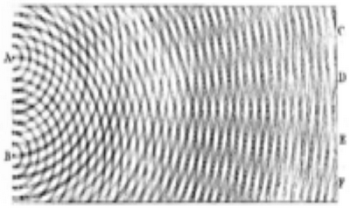 The wave function values can be positive, negative, complex, spinor, or vector, and they can be used to calculate probabilities, but those probabilities are never negative. There is no experiment to tell us whether the probabilities are real. It is not a scientific question. Even tho the Bayesian view solves a lot of problems, as Mermin says, most physicists today insist that phenomena like radioactive decay and spin quantization prove that the probabilities are real. Quantum mechanics supposedly makes essential use of probabilities. But that is only Born's interpretation. Probabilities are no more essential to quantum mechanics than to any other branch of science, as I explained here.